Among all water-based recreation activities that Floridians participate in year-round, parasailing has proven to be the most dangerous. By the very nature of parasailing, accidents invariably result in either catastrophic injuries or death. Leesfield Scolaro with other key advocates have been at the forefront of promoting the passage of laws and regulations to increase parasailing safety. After numerous articles and blogs, answers have finally come with the recent passage of the White-Miskell Act, and, now, this week’s release from the NTSB’s Special Investigation Report: Parasailing Safety. 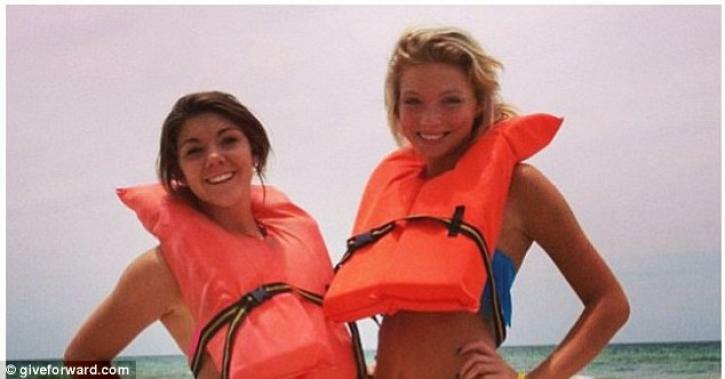 Promoting parasail safety has become a priority of mine since 2007 while representing the family of two teenage-sisters, injured and killed during a flawed parasail ride. This was national news and rightly so. Witness videos and photos showed the boat towing the parasail as it was pushed ashore due to strong currents and very high winds, and on the end of the towing rope, you could see the two sisters in the parasail, dangling dangerously high up in the air, at the mercy of the elements. Seconds later, the towing rope snapped and both girls were catapulted against several buildings, dragged across rooftops, and falling lifeless into palm trees. After speaking with members of the Coast Guard, it became clear that human error was the common denominator in almost every single parasailing accident. Faulty equipment, inadequate weather-tracking equipment, operator error, or lack of training are always contributing factors of parasailing tragedies. There was no protection from the State of Florida nor did the Federal Government have any regulation in place to safeguard the public from irresponsible operators at the time. For years, the parasailing industry was a modern version of the wild wild west: Buy a boat, a rope, a chute, you are in the parasailing business! Things had to change. Tagged: "Ira Leesfield" and "Parasailing Accident"
Will Florida finally pass regulations of the Parasailing Industry? Yesterday, the Senate Committee pm Regulated Industries passed Senate Bill 320 by a unanimous vote of 9 to 0. Members of the Senate Committee had just finished hearing from families who have lost loved ones in parasailing accidents in Florida. Among them, the family of Amber May White who tragically died in 2007 while parasailing with her younger sister Crystal. Leesfield Scolaro represented the family and a confidential settlement was reached out of court. In 2007, as it is true today, the parasail industry is absolutely unregulated. Despite countless voices begging for this activity to be regulated, the industry has been operating completely free of any rules. Parasail operators are self-regulated, which often translates in utter lack of safety and proper training. While yesterday was the first optimistic step in the right direction, it is 7 years removed from the fatal accident that has changed the family of Amber and Crystal forever. Click here to learn more about the events in that case and the lawsuit that ensued. Tagged: "Amber May White", "Kathleen Miskell" and "Parasailing Accident"
Each and every year, families and friends have to mourn the loss of a loved one or see a loved one sustain life-altering injuries. Each and every year in Florida, it seems that someone will become critically injured in a parasailing accident. The reason for this horrific spectacle is the lack of any laws to regulate the parasailing industry. 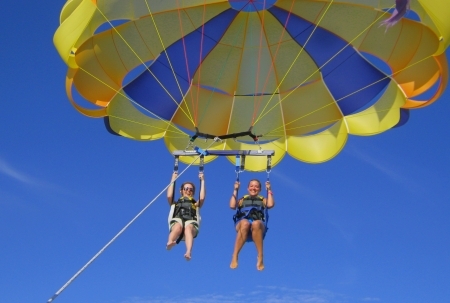 Floridians and tourists from out of state and from all over the world purchase parasail rides year round. The parasailing industry is a very lucrative business, which is inherently dangerous if practiced in a less than perfect environment. To that end, Leesfield Scolaro have pushed the legislator for regulations at the state-level to prevent preventable parasailing accidents. The incident which saw 17-year-old Sidney Good and 17-year-old Alexis Fairchild sustain catastrophic injuries is the latest of many preventable incidents. As long as Florida does not adopt strict regulations and force parasailing operators to answer to the law, there will be headlines in the news that another person lost their life due to the negligence of a parasailing operator. Last year was the last attempt of many to pass a law to regulate that business, but the legislator failed, once again, due to the commercial and economic pressures put forth by special interests. Tagged: "Alexis Fairchild", "Aquatic Adventures", "James Vaught", "Panama City Beach", "Panama City", "Parasailing Accident", "Sidney Good" and "Tyler Churchwell"
According to the latest reports, both teenagers’ health are slowly improving and their respective doctors are expecting both girls to recover from their traumatic injuries. The family of Sidney Renea Good and Alexis Fairchild, 17-year-old girls from Huntington and Roanoke, Indiana, have shared that their daughters have both suffered head trauma and severe lacerations. However they are both communicating with their doctors and close family members with small hand gestures. Earlier this week, Sidney and Alexis purchased a parasail ride with Aquatic Adventures in Panama City. While both girls were up in the air, the weather deteriorated and strong winds rolled onto the the shore. The rope of the parasail snapped and both girls, who were riding in tandem, were catapulted onto a condominium near the shore, before hitting a power line or a utility pole. They crashed seconds later on top of an SUV in a nearby parking lot. Both girls were breathing at the scene, but one of them was knocked unconscious. Tagged: "Alexis Fairchild", "Ira Leesfield", "James Vaught", "Leesfield & Partners", "Panama City Beach", "Panama City", "Parasailing Accident", "Sidney Good" and "Tyler Churchwell"
On Tuesday July 3, 2013, two teenage girls from Indiana were vacationing in Panama City and purchased a parasail tour. While in the air, a severe storm began to develop and the two rope snapped due to the high winds. The two 17-year-old girls, Alexis Fairchild and Sidney Good, who were riding in tandem, were at the mercy of the winds. Not before long the parasail crashed into the side of a condominium. Seconds later, the girls hit powerlines or a utility pole before plummeting down in a parking lot. According to witnesses, both girls were limp, on the ground. Rescue rushed them to the Bay Medical-Sacred Heart hospital in Panama City. They remain in critical condition. Tagged: "Alexis Fairchild", "Amber May White", "Crystal White", "Florida Fish and Wildlife Conservation Commission", "Panama City Beach", "Panama City", "Parasailing Accident", "Pompano Beach" and "Sidney Good"